Parties and events take forever to plan and organize, only to be over in the blink of an eye. Once everyone leaves, photos taken on their smartphones go with them. As host, you’re left with only memories and a mess to clean up should guests forget to share their pictures—and even if they do, it could days or weeks later. It doesn’t have to be this way: Assuming you own the latest Apple TV and your partygoers have iOS devices, you can not only gather all of the photos being taken as they happen, but make those images part of the actual event itself. Built upon the company’s mobile-only Partysnapper app, Boinx Software touts PhotoWall+ as “a social photo wall for Apple TV” that could very well become the life of your next party. 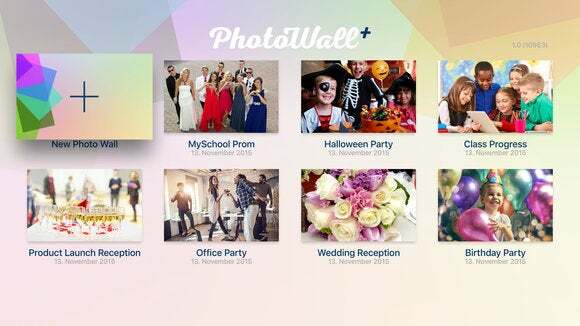 PhotoWall+ can create photo walls for any event, syncing them via iCloud so you won’t miss a single moment. 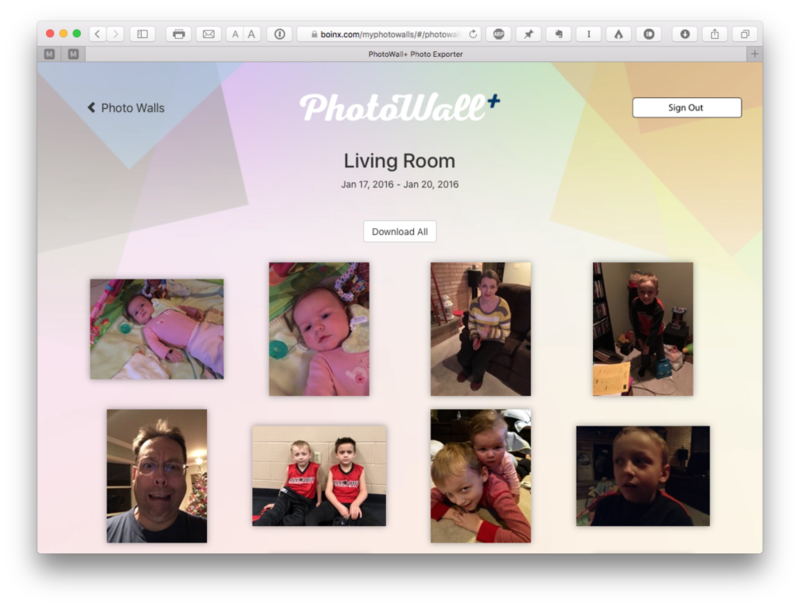 PhotoWall+ is an app for the fourth-generation Apple TV that works in tandem with a free, universal companion app for iPhone, iPad, or iPod touch called PhotoWall+ Cam. After creating a new photo wall (or opening an existing one) on the Apple TV, iOS devices will be able to add new or existing images to the television screen for all to see. Aside from getting everyone on the same Wi-Fi network, there’s literally zero configuration. Open PhotoWall+ Cam app on your mobile device, snap a picture using front or rear cameras (with optional flash), then select a hosted event. (If PhotoWall+ isn’t running, Cam displays Find Host instead.) Now tap Send, and within seconds the image appears on-screen, then begins cycling through a slideshow of everything added to the event thus far. The free companion PhotoWall+ Cam app is all your iPhone, iPad, or iPod touch-loving guests need to join in the fun. While the slideshow is active, the Siri remote can be used to control playback. 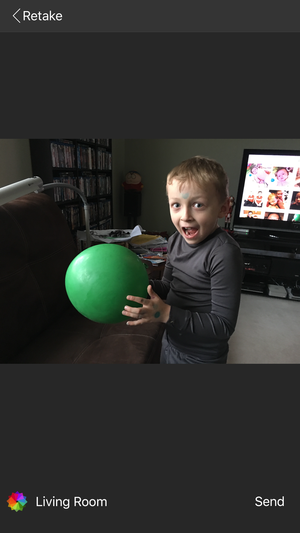 Play/Pause freezes the current photo until you press it again to resume, while the Menu button is used to exit. Sliding your thumb left or right across the Touch surface jumps to the previous or next slide, while up and down controls playback speed. Participants aren’t limited strictly to shots taken on their device. Anything in your photo library is fair game. 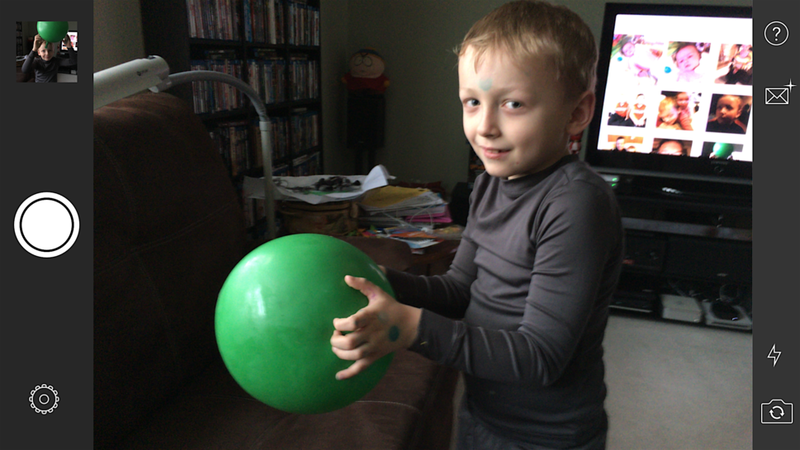 By default, new photos are saved in each guest’s respective Camera Roll, but this can be turned off in the Cam app. Worth noting: Guests can only send one photo at a time, and there’s no support for videos. PhotoWall+ can be used even at venues without an active Internet connection. All that’s required is a wireless router, such as an AirPort Express or AirPort Extreme. Wi-Fi is used to push full-resolution images to Apple TV, which are temporarily saved on its internal storage. Once the device is reconnected to a wired or wireless internet connection back home, shared images are backed up to your iCloud account. Snap a photo, tap send, and within moments, your image appears on the HDTV screen using PhotoWall+. That’s where things get interesting, because Boinx has created a web app so PhotoWall+ users can log in with their iCloud credentials and browse or download images shared by guest photographers. (For those like me who keep separate accounts for iCloud and iTunes/App Store purchases, you’ll log in with the former.) JPEG files can be downloaded individually from Safari, but doing them all at once requires Google Chrome. Hosts can also change the transition style of the current photo wall by pressing firmly on the Touch surface of the Siri remote and selecting from the available options: Fade, Ken Burns, Latest Image, Spring, or Stream. (This also works with the older aluminum remote by holding down the center button on the directional pad.) The remote can also be used to selectively hide or delete individual photos. PhotoWall+ works just as seamlessly as it sounds, and it’s a whole lot of fun to use. There’s really only one downside, and that’s the lack of a companion app for Android or Windows Phone. Unless you’ve surrounded yourself with friends who share the same good taste in Apple products, someone’s bound to be left out of the party. There’s also no way to directly share photos from the web app, which feels like a missed opportunity. When the party’s over, the host can log into a web app with their iCloud credentials to download everything shared by guests. PhotoWall+ is a great way to liven up any party, event, or family fun night, requiring no technical savvy or fiddly settings to use. The only thing missing is support for mobile platforms not named after a fruit, which would allow everyone to join in the fun.